Thanks to Kealan from Vintage 69 for lending us such awesome outfits! 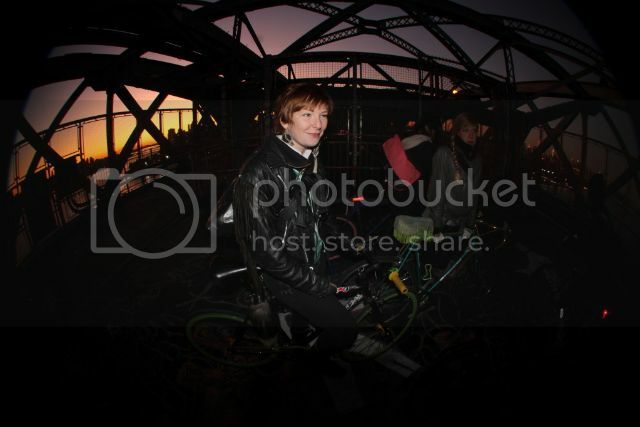 Big Red and I are going to do the legendary Cranksgiving Ride tomorrow! 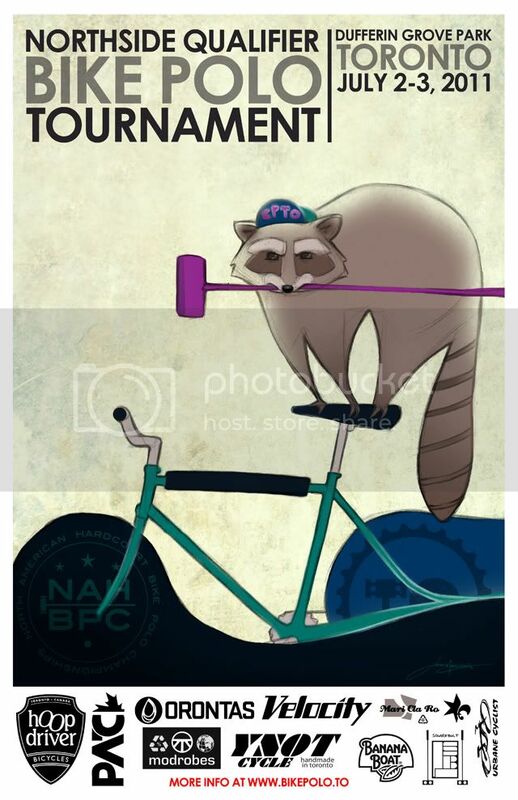 I'm so stoked to be participating in a great charity and NYC bike community tradition. See you tomorrow at registration NYC! Cranksgiving celebration from Washington Square News on Vimeo. 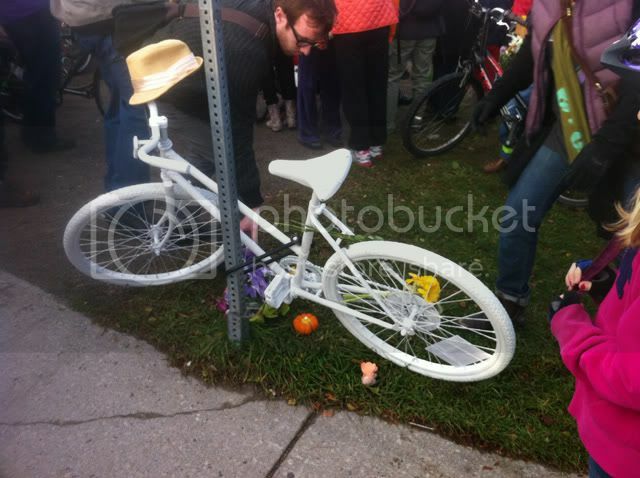 Incredibly sad week in Toronto. Our thoughts are with her family and friends. check out laura's poster on the LOBP !!! there's a little competition going on now, for the top 3 designs. if you're a polo player, vote for her!!! Northside Qualifyer!!! Remember to leave the camp site as you found it. BFF TORONTO 11 VIDEO RECAP. Thanks to Snow White for editing this little video recap of the BFF in Toronto this year. So fun, as always. 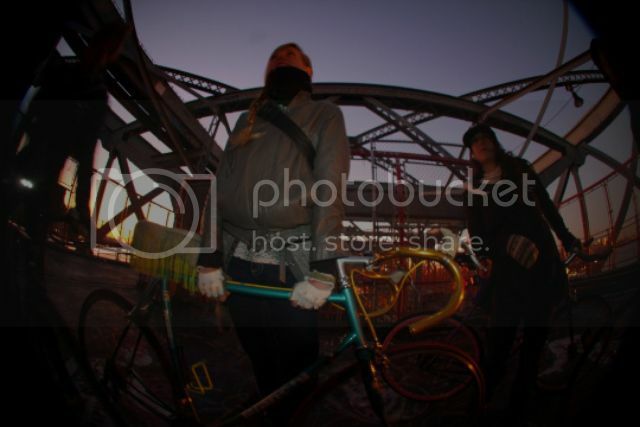 We met up with Justin "Rev" Barnes from LA on the Williamsburg bridge. He got some rad footage of us just, you know, hanging out, and shot some rad pics. 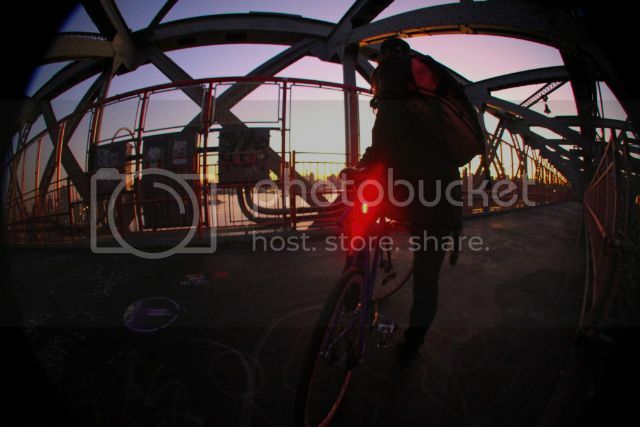 Knog had just given us some goodies to play with in BK, and it was fun to see how rad it all looked in the fish eye. Living in Brooklyn for the past two months has really introduced the Nightshades to some of the radest bike people. One being Thomas Callahan of Horse Cycles. Located right off broadway, a short cycle from the Williamsburg bridge is this huge shop with stacks of tools where beautiful handmade bikes are born. The frame building process is a collaboration of rider and builder. We do a complete rider intake including full body measurements, rider preferences and riding style. After making all design decisions materials for the build are ordered. Each tube set is hand picked for the build process based on rider requirements and care is put into every detail. Building the actual frame takes 1-2 weeks. Paint is chosen and the frame is sprayed. At this point components are chosen based on rider measurements and requirements, the bike is assembled, and off you go…. A full bike will run you about two grand, but damn, it's worth it! 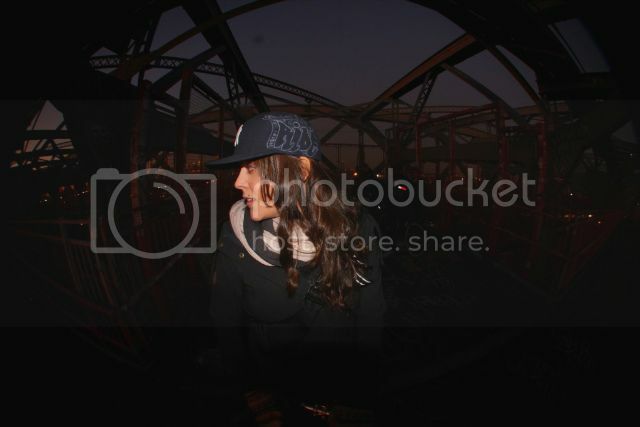 Also, Horse Cycle has just finished a collabortation with the ultrahip Ace Hotel. So now you can borrow one of these beauties while you're in town! 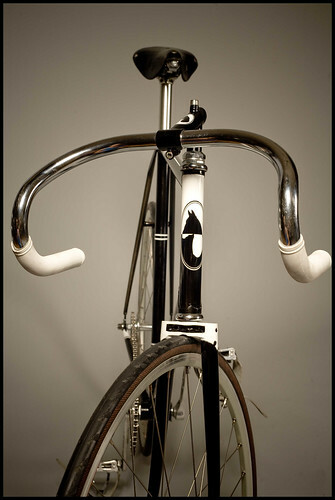 ACE HOTEL+HORSE CYCLES = this ... from Matt McClain on Vimeo. Heads up #Toronto! Great party with top TO artists for the coolest of causes! DNS loves, loves, LOVES the About Face Collective. Their wholistic, positive, fun approach to change making gets our seal of approval anytime, everytime, all the time. We have collaborated with our urban farming friends at Fresh Citywww.freshcityfarms.com to turn their greenhouse at Downsview Park into a gallery for the weekend of November 5th and 6th. The event will feature outstanding local food, beer and wine, music and art. We will be showcasing original pieces for silent auction and prints for sale from a selection of renowned local artists. 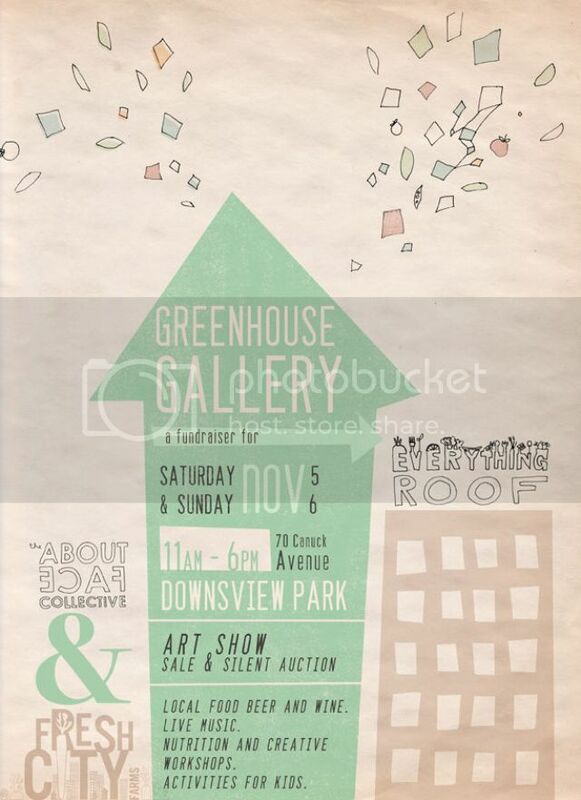 The adjacent greenhouse will be set up with workshops and kid-friendly activities offered throughout the weekend. 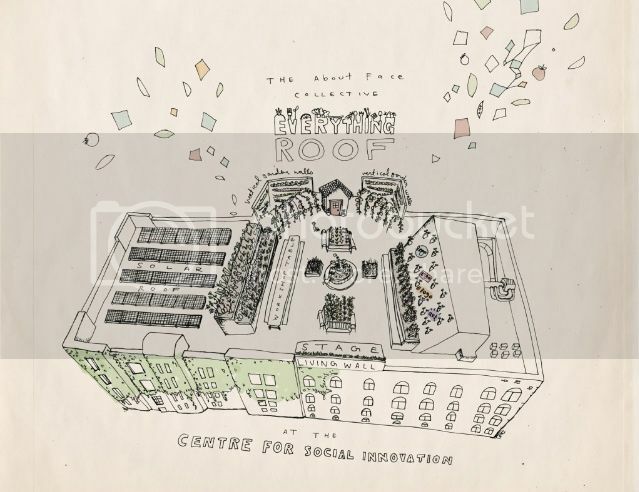 Everything Roof is a community rooftop garden and learning space on top of the new Centre for Social Innovation, Annex location. The creative structural elements of the garden will be designed and built by local artists using recycled and reclaimed materials. In collaboration with the Centre for Social Innovation, Sketch Working Arts for Street Involved and Homeless Youth and Skate4Cancer, The About Face Collective will create a unique, inspiring, visually exciting platform to promote urban farming, nutrition, green lifestyles and integrated community engagement. We were recently granted $75,000 from Live Green Toronto toward our capital costs and need to raise the remaining funds by December 31st. Despite being Canadian - I still rarely welcome snowstorms in late october. Somehow, despite the lovely weather we've been having here in New York, last saturday had a devilish mind of it's own, when snow mixed with pouring rain drenched the city. And consequently Bike Kill 8: Snowpocolypse was born in a Bedstuy parking lot. Yet, despite the horrific weather (resulting in wet everything and multiple trips to home depot to warm up & buy more dry things) we still had an amazing time, rode some mutant bikes (like Big Red above), then donned lots of spandex (true to form) and danced our faces off in some warehouse with a bonfire out back. Days later everything still smells like wet dog and campfires. 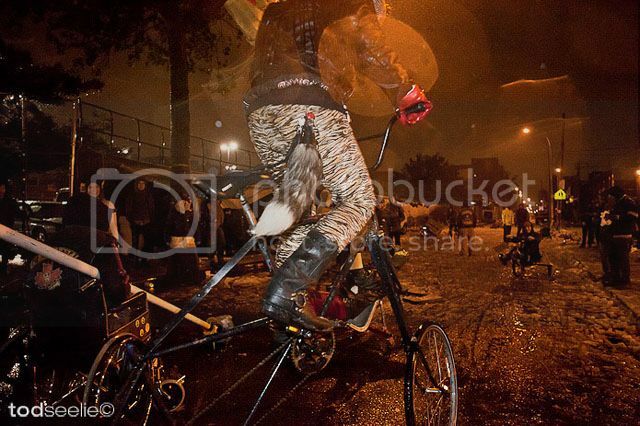 Gotta love Bike Kill... and these rad photos by Tod Seelie.